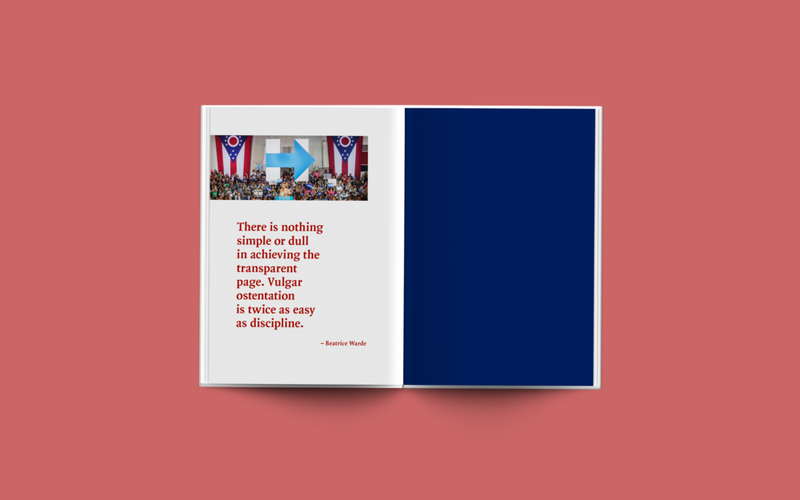 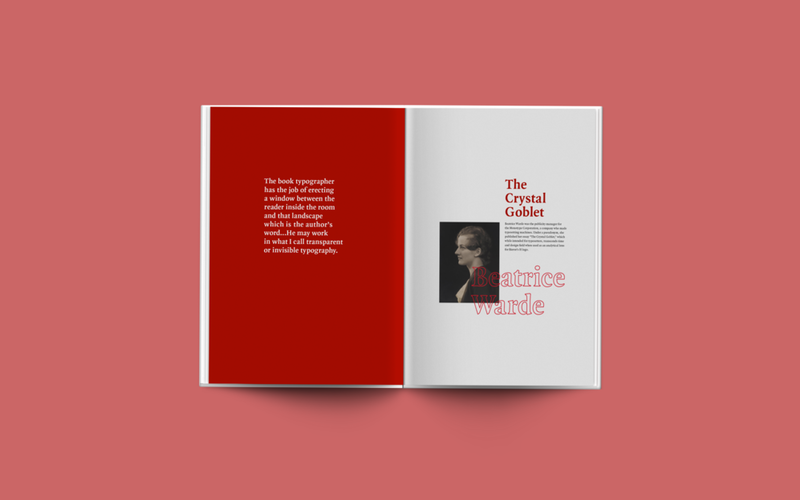 The purpose of this final project was to create a clear typographic system using a strong grid that allowed for typographic variation as defined by a range of editorial content. 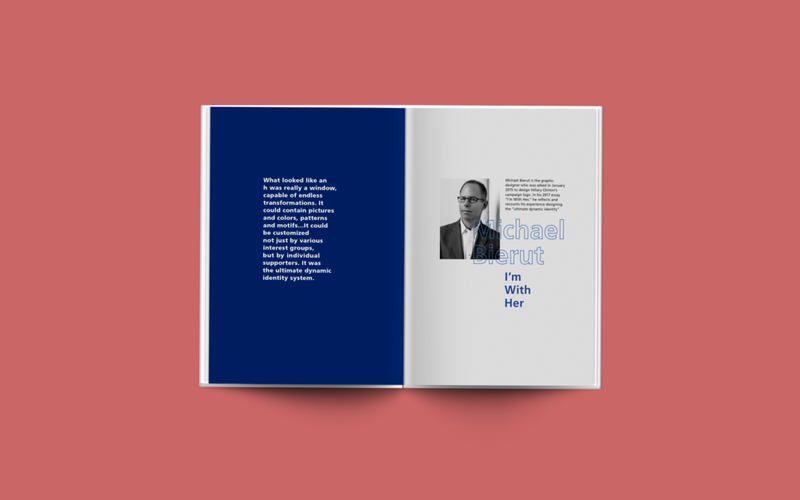 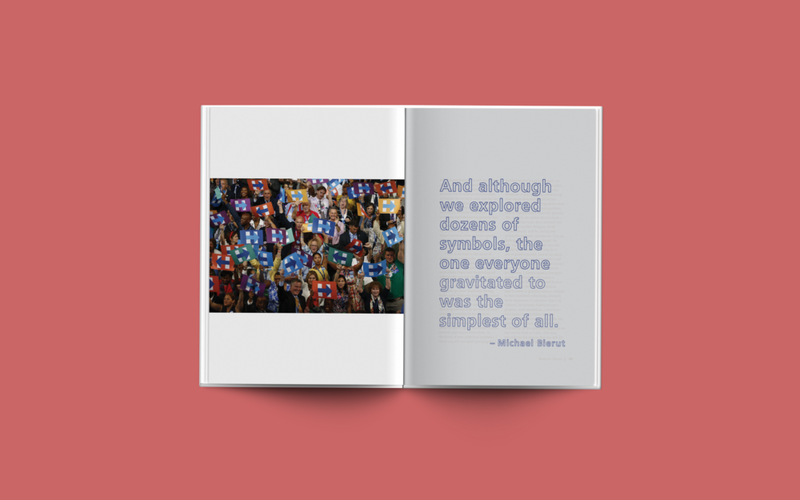 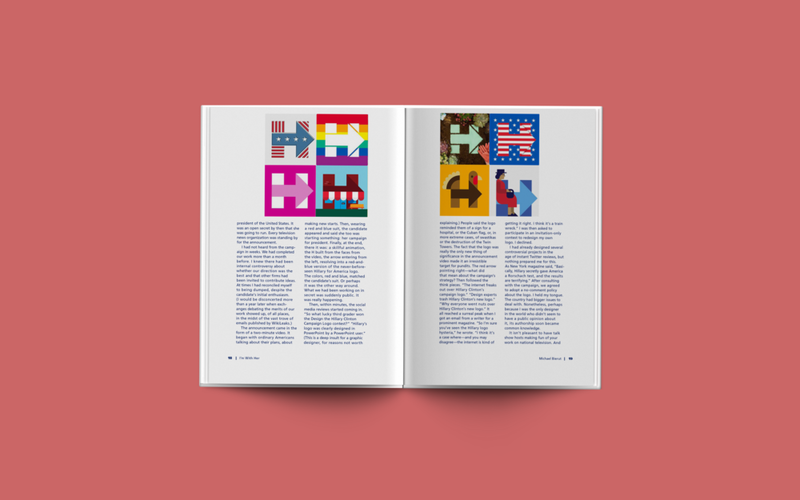 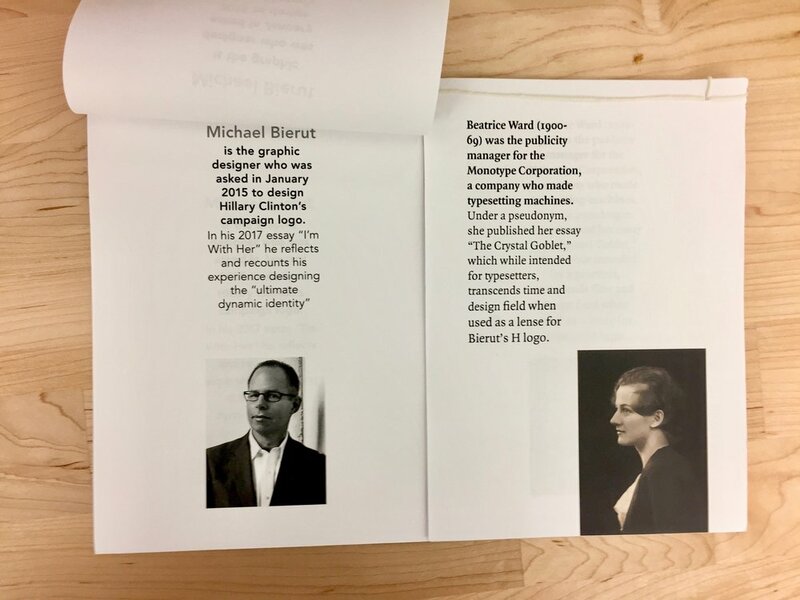 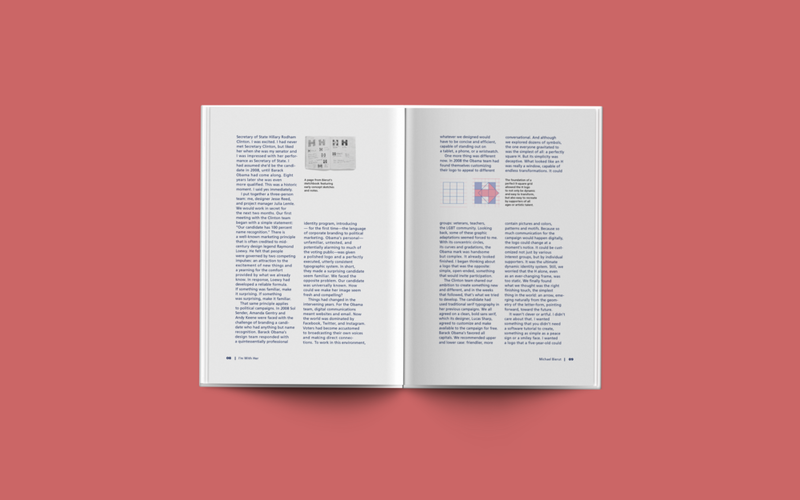 I wove the assigned Beatrice Warde essay, "The Crystal Goblet", throughout Michael Bierut's piece, "I'm With Her", to show how Warde's essay can be used as an analytical lens to view Bierut's H logo. 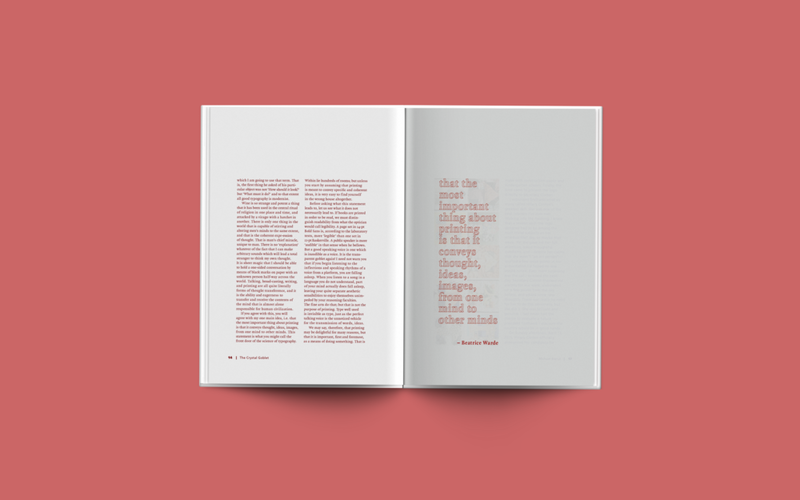 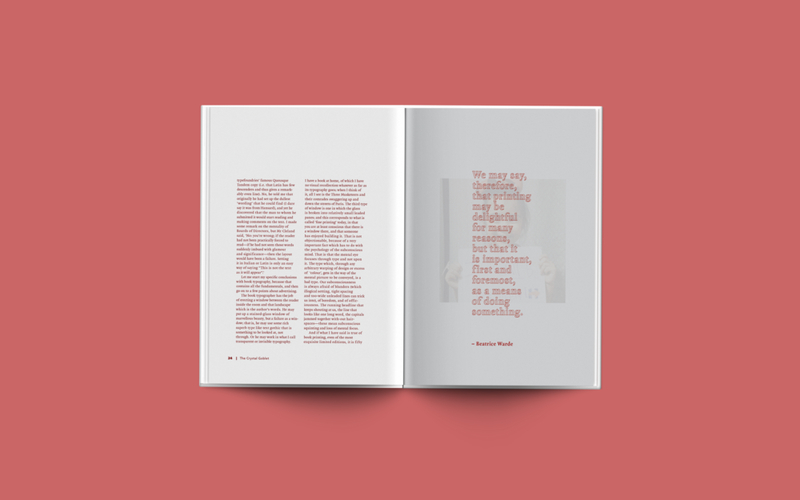 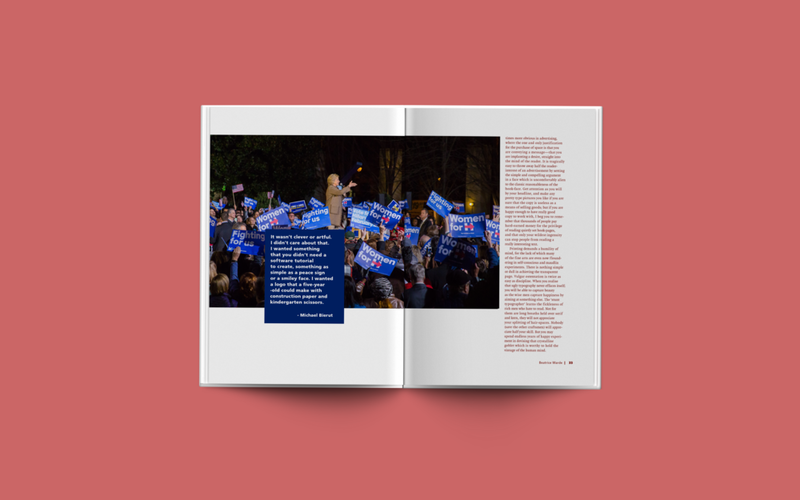 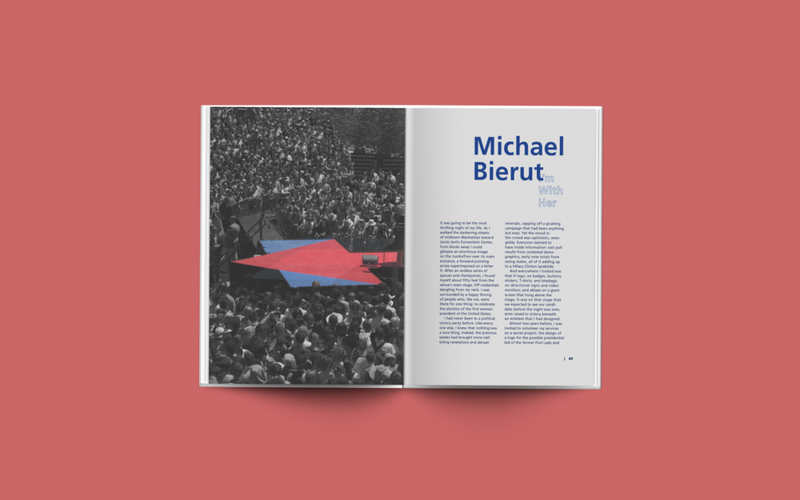 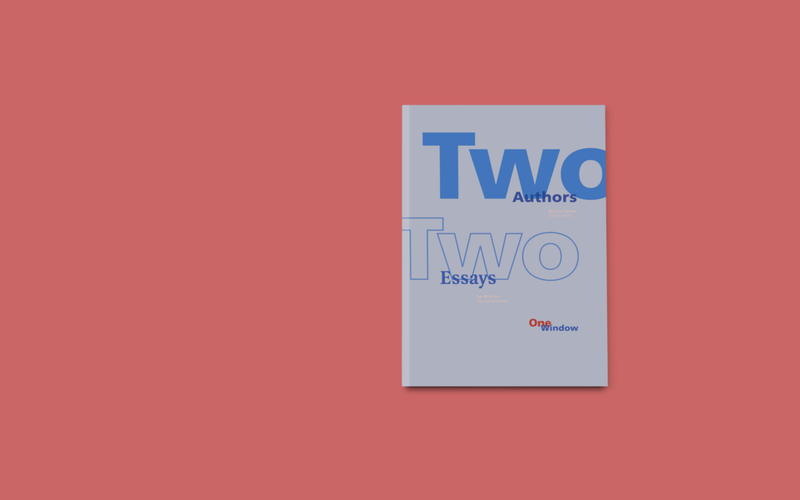 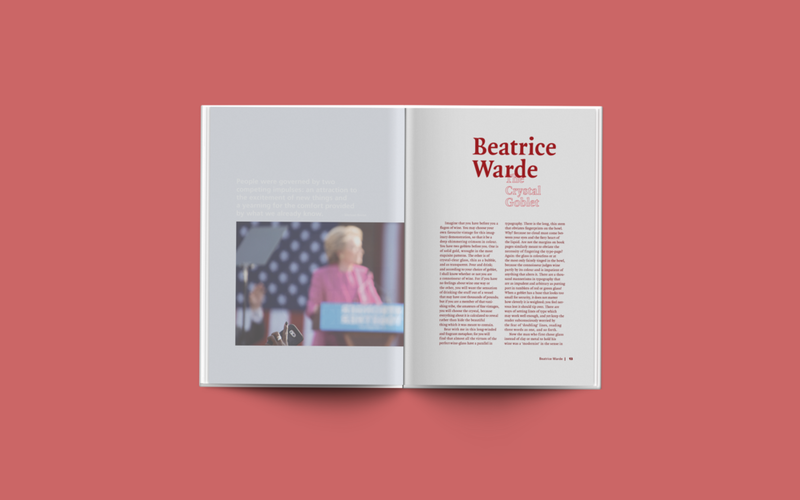 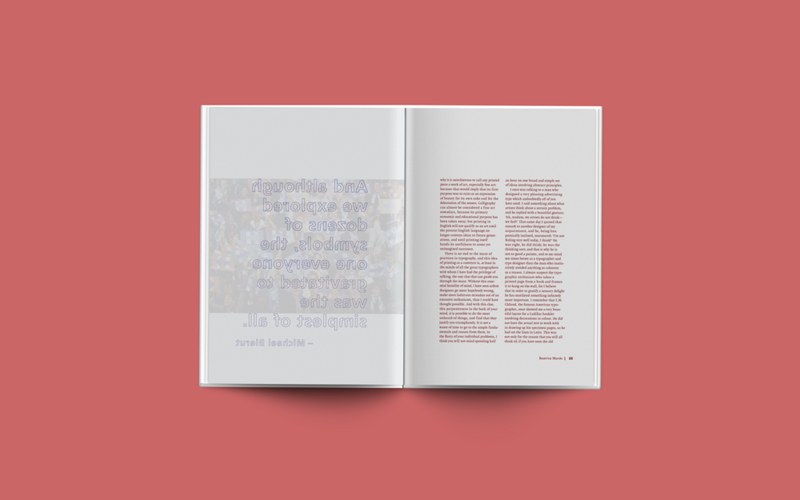 This print experience visually gives the reader windows with transparencies and outlined type to highlight the complementing window theme between Bierut and Warde's respective essays. 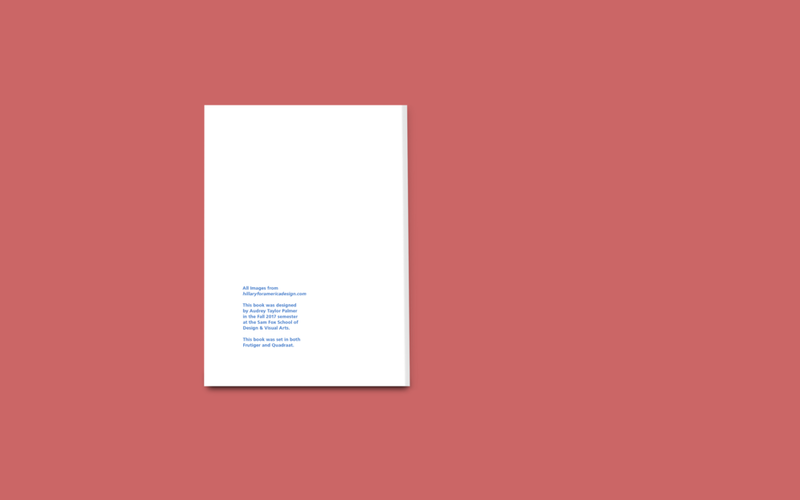 I began the process by wanting to put the two texts side-by-side, in an adjacent flip notebook style format. However, as I continued with my concept development, I realized that since my texts were working together to comment and validate each other, it did not make sense to keep them isolated in seperate books. 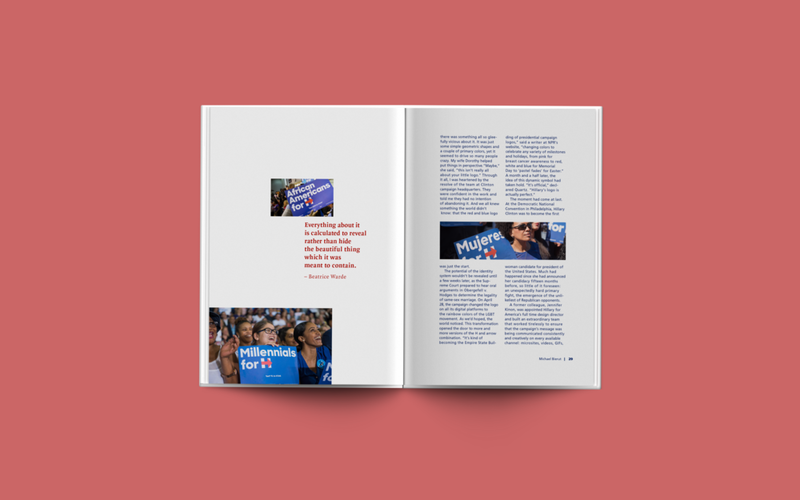 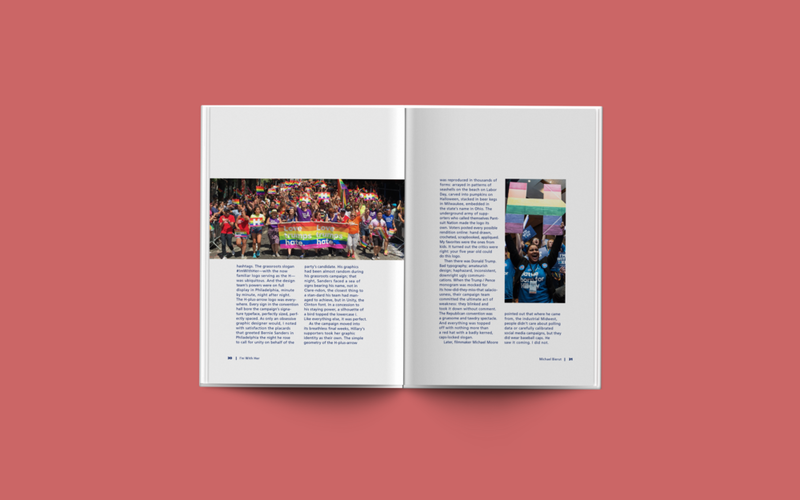 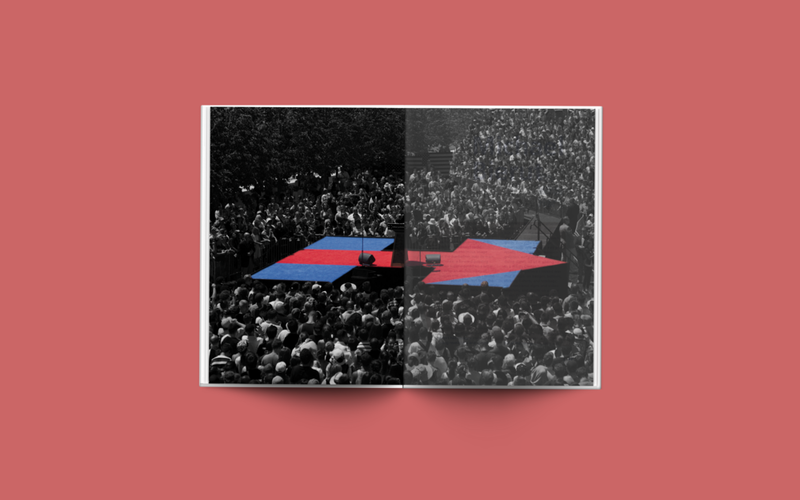 Of course it took partially designing the side-by-side flip-up book for me to realize a more traditional editorial layout was the best form for my content and concept. 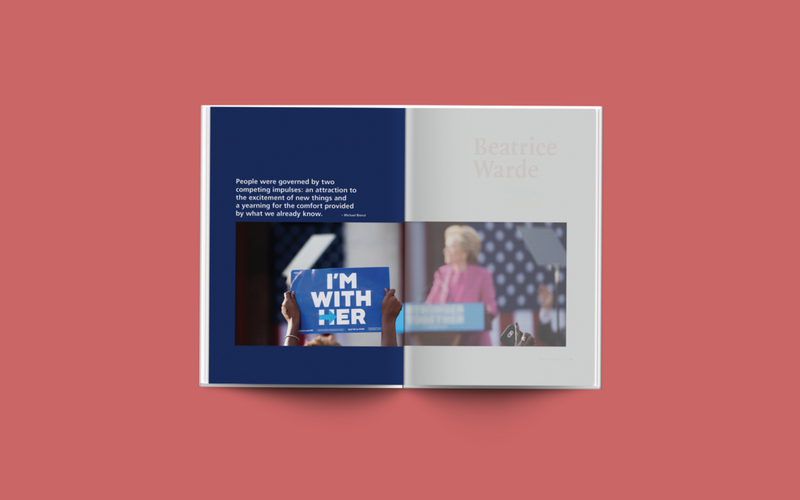 After I finally cemented my layout format, I began discovering how to implement my carefully developed concept into the spread design. 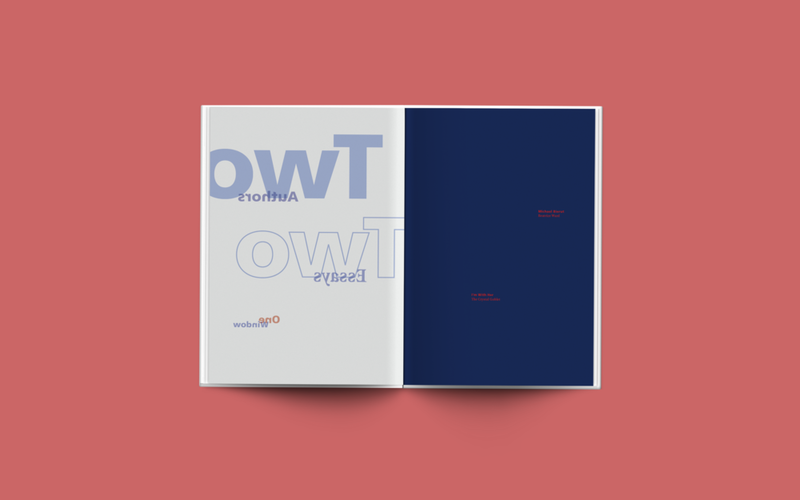 This is when design elements such as the transparent pages and window type evolved through experimentation with what best exectuted my concept.